Rating: 1 Even if you're not scared of spiders, you should be worried about this one! The Good: I saw nothing positive about this system. It always amazes me the length that some Binary Options marketers will go to to promote their wares. They use amazing graphics, polished websites and crazy angles, all to seem more legitimate and make you want to sign up. And then there is Spider Profits. Make your mind up! Is it Spider Profit, Spider Profits or Spider Proffit? As mentioned the website looks quite unprofessional. To me that alone should make you close the web page instantly, but then you have the video, which is spectacularly bad. This 10 minute video has obviously been made in PowerPoint and the creator has decided that every line that comes up will use a different text animation, and boy, he uses all of them! After 2 minutes of watching I had to close my eyes as I was getting nauseous from the constant shifting and rolling and flashing on the screen. The narrator adds to the cringe worthiness of the video by using his best infomercial voice, that simply oozes phony sincerity. The topic of the video is fairly banal and has all the usual tactics employed by online marketers. It starts by pushing away people who won’t take action, a tactic used to filter the wheat from the chaff as well as to make people feel indignant. From there is shows typical dream scenarios, where you have enough money to be free from worrying about bills and able to buy nice cars, big houses and fancy vacations. After that it starts to seed the idea that this sort of lifestyle is easy to obtain, via their software of course, and suggests that you can turn $250 in $12,000… overnight, guaranteed! This sort of hype is ridiculous but it’s amazing how many people fall for it. The video continues with a basic Binary Options tutorial advising you that it’s simple to trade Binary Options (this is true) and that you can make lots of money from it (not exactly true). Binary Options if you’re not aware is a basic form of trading where you guess whether a trade will go up or down over a specified period of time. If you get it right you win money, otherwise you lose money. In theory it’s easy, in practice it is a high risk endeavor that the FTC warns about. Of course, the Spider Profits video reassures you that their system requires no trading knowledge and works completely on autopilot. It even shows you some screenshots of accounts with large balances. These screenshots cannot be verified though, and faking a screenshot of a bank account or trading account is amazingly easy to do. Next up comes two testimonials from “real life users” which are in fact fake. These two people sell fake testimonials over at Fiverr.com. Oh look, another fake testimonial! The final part of the video is really just trying to push you to take action and explains why they are giving this away for free. They state it’s so that word of mouth can be generated in order to build a buzz about it before they start charging. Really though, it’s because they want to lower the entry barrier so more people can sign up and risk their money. After handing over your email you are taken to a standard Binary Options system webpage that includes another video to push you along, and a sign up form for the brokerage. As well as those, there is also random trade data, supposedly from real users, but once more there is no evidence to confirm this. After signing up to the broker you will be sent to another page, this time to deposit your money. This is just a webpage with an iframe to the broker site. What does this mean? Well, it means that there is no Spider Profit Automated Software; it’s just the brokers software. As such, you will get no benefit from any magical software that they hinted at in the videos. At best you will be allowed to use a white labelled version of the brokers own Binary Signals software. Binary Signals software is code that tracks trades broadly and provides you with hints for which trade to make and whether to go up or down on it. Unfortunately, this type of software is not very accurate (“couldn’t hit the broad side of a barn” springs to mind) and often you will end up simply guessing instead. 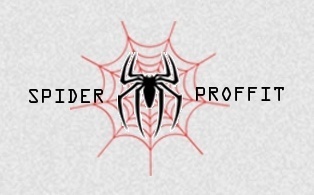 Spider Profits/Profit/Proffit is a poorly executed scam. Nothing about it can be proven, and parts of it are obviously fake – would you trust a system that buys testimonials? It will not help you earn $12,000 overnight, and will not help you change your financial lifestyle. If anything, you are very likely to lose money, because as I mentioned earlier, Binary Options are very, very high risk. I would recommend that you avoid Spider Profits and look to more stable ways of making money online.